Doctors on Darling is a privately owned practice that has been providing quality health care to our patients and the community in Balmain and surrounding areas for well over 30 years, we are fully accredited with AGPAL and are committed to providing the highest quality care and service to our patients. New Patients are always welcome. To stay up to date with healthcare matters, such as the renewed National Cervical Screening Program, please visit our Latest News page, and check the latest notices on the Twitter feed at the foot of each page. If there are no available appointments online, please always call our reception team on (02) 8068 2490 to check any changes which may not reflect in a timely manner with our online bookings, alternatively, when necessary, we do run a cancellation list. Doctors on Darling is a privately billing practice Open 6 days a week Monday to Saturday. We are closed on Sundays and Public Holidays. 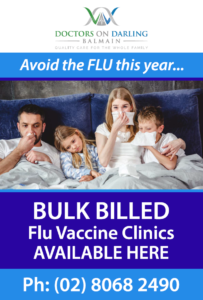 Bulk billing applies only to certain concession card holders. Our team consists of 9 General Practitioners, an Endocrinologist, a General Paediatrician, a Clinical Psychologist, a Psychotherapist and a Dietitian / Sports Nutritionist. Most of our Doctors participate in the Antenatal Shared Care Program, and many have completed a Diploma in Child Health. To find out more about our Doctors, please see Our Team page. 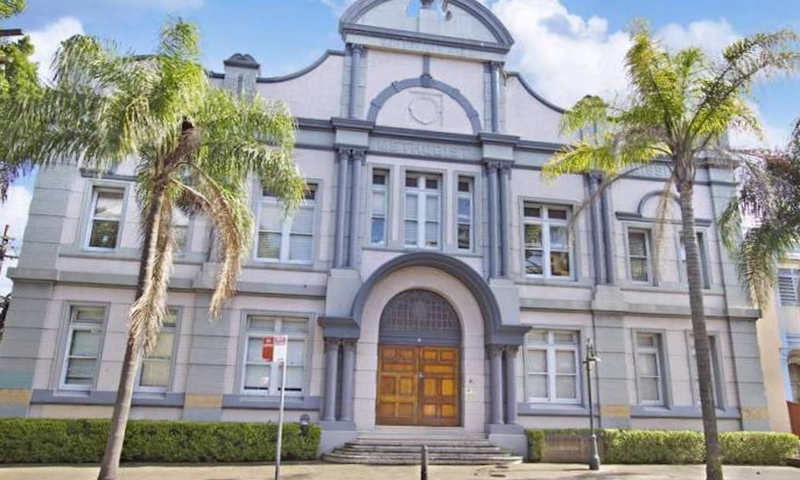 In April 2014, Doctors on Darling relocated to the state of the art heritage building “The Balmain Professional Centre” at 3 Montague Street Balmain. (cnr of Montague Street and Llewellyn St). This new location is spacious and offers an abundance of natural lighting with the added advantage of disability parking and access (via ramp or internal lift). Doctors on Darling offer a wide range of GP services, please see Our Services page. In addition to our GP, specialists & allied health services, Dr Charteris performs injectable cosmetic procedures for wrinkle relaxation and dermal filling, please see Cosmetic Services. Stay up to date with our Current Brochure – February 2019. Sydney Allied Health Group is a multidisciplinary clinic offering physiotherapy, exercise physiotherapy, podiatry and pilates focused on serving the needs of Balmain. The Doctors at this medical practice will include you (unless we are otherwise notified) into our database for SMS reminders such as appointments or clinical e.g.) pap smears, immunisations and other preventative health care issues. Patients can opt in or out of SMS reminders at any point by notifying our reception team. In this instance, you may receive a telephone reminder or a reminder sent in the mail.